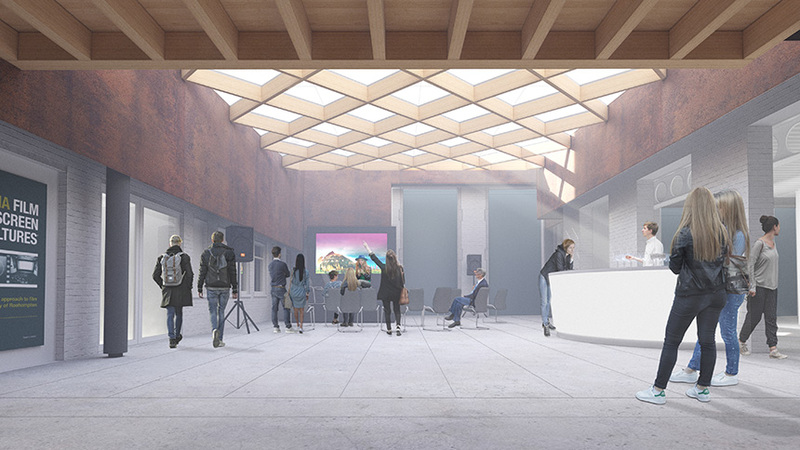 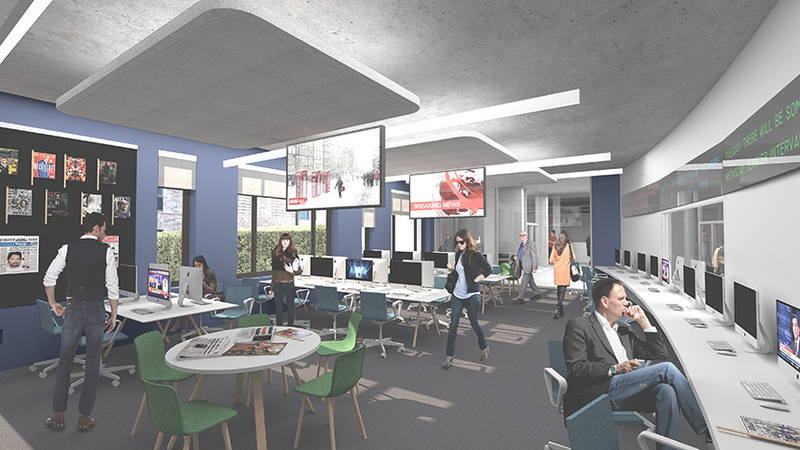 The remodelling and extension of two adjacent buildings to provide consolidation and improvement of facilities, principally, for the Department of Media Culture and Languages. 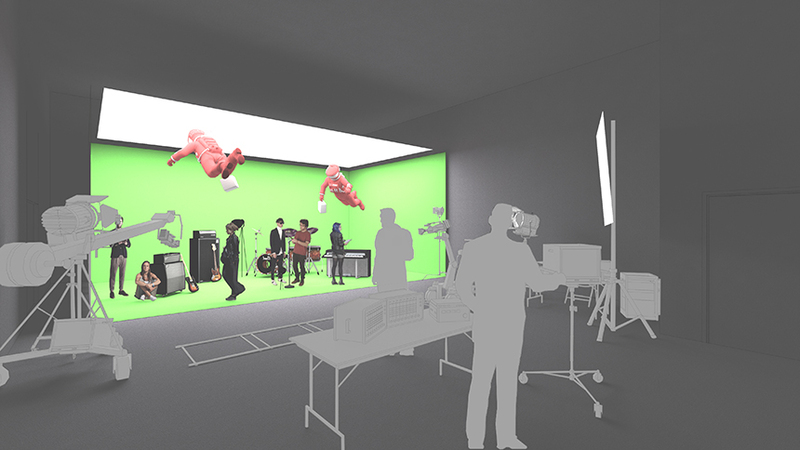 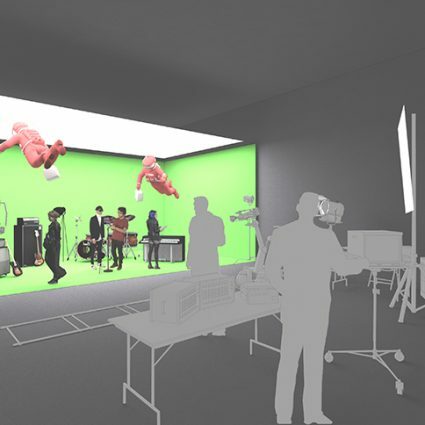 Specialist teaching areas include film, television and sound studios, a 90+ seat cinema, photographic studios, cutting/editing suites and a flexible creative project space for the new digital media course. 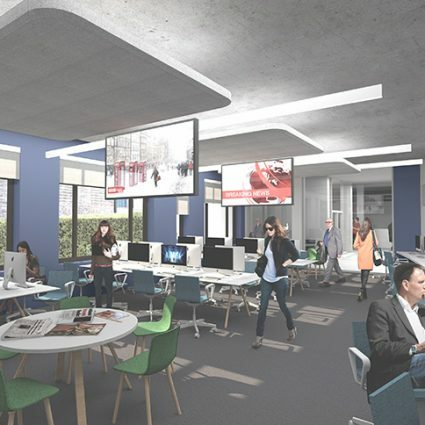 The scheme also provides accommodation for university-wide student facing support facilities such as Academic Services, Audio Visual Resources, Digital Learning and IT Services. 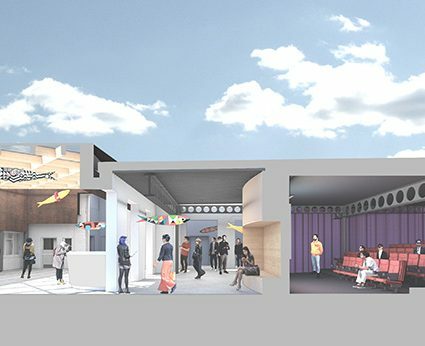 Seminar rooms have been designed to promote collaborative learning through a variety of flexible layouts; these are supported by extensive social learning and ‘commons’ spaces including the creation of a glazed courtyard. 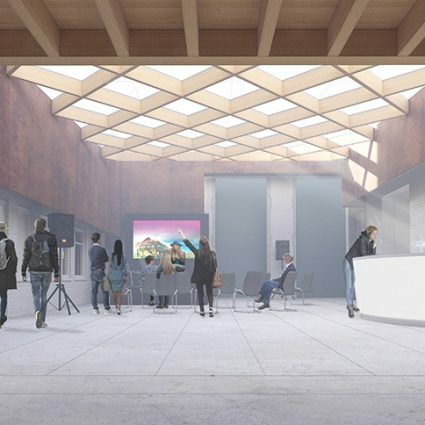 Consultants:Gardiner & Theobald (Cost, project management and CDM), Michael Jones & Associates (M&E), Curtins (Structure and Civils), Boyer Planning (Planning), Jeremy Gardner Associates (Fire), Sandy Brown Associates (Acoustics), David Bonnett Associates (Access), MLM (Building Control).